This production is part of the University of Maine at Farmington's year-long New Commons series. FARMINGTON — A vibrant performance by the world-class Philharmonia Boston Orchestra will top off the University of Maine at Farmington’s year-long New Commons Project presentations on the UMF campus. 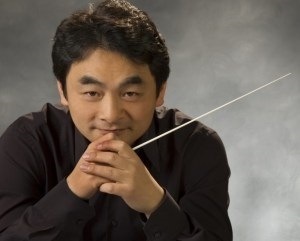 The acclaimed 32-piece professional orchestra, conducted by Jinwook Park, will perform the entirety of Beethoven’s Symphony No. 6 “Pastoral” and Beethoven’s Symphony No. 5. The concert will take place at 7 p.m. Saturday, April 13, in Nordica Auditorium, UMF Merrill Hall. Celebrated pianist and UMF professor Steven Pane will provide an introductory lecture prior to the performance. The event is free and open to the public. While the 5th Symphony has Beethoven undertaking a psychological struggle, from the famous fate motive at the opening to the joy of the final movement, the 6th is external — essentially creating the feelings of being outdoors in the countryside. Completed in 1808, Beethoven’s Symphony No. 6 — the “Pastoral Symphony, or Recollections of Country Life” — is one of only two he intentionally named. It stands apart with its descriptive movement titles that were made public to the audience before its premiere. Founded in 2013, the Philharmonia Boston Orchestra is composed of professional musicians from the Greater Boston area. By working hand in hand with young local musicians, they strive to create an environment that fosters the professional development of bright rising talents. Conductor and violinist Park, a native of South Korea, has taught and conducted in Boston and has performed across the United States and South Korea. He is also conductor of the Colby College orchestra. He has also been the director of groups such as the Hwaum Boston Chamber Orchestra, the Boston Korean Chorus and the Haffner Sinfonietta, which he founded. He earned his master’s at the Boston Conservatory and his doctorate at Boston University. The New Commons Project is a public humanities initiative of the University of Maine at Farmington, Maine’s public liberal arts college, in partnership with the Maine Humanities Council. Members of the Maine community submit suggestions for the works of art, literature and ideas included in the New Commons. The cultural commons offers a rich sampling of unique events, public discussions, talks and community engagement projects focused on the selected submitted work. Pane will perform Franz Liszt’s 1838 piano transcription of Beethoven’s Symphony No. 6 “Pastoral.” Pane has performed at universities and in major halls throughout the country, including the Academy of Music in Philadelphia, Aaron Davis Hall in New York City, Davies Hall in San Francisco and the Kennedy Center for the Performing Arts. He will appear at 11:45 a.m. Wednesday, April 10, and 6 p.m. Thursday, April 11, at Nordica Auditorium. The 32-piece Philharmonia Boston Orchestra, conducted by Park, will perform the entirety of Beethoven’s Symphony No. 6 “Pastoral,” as well as Beethoven’s Symphony No. 5. 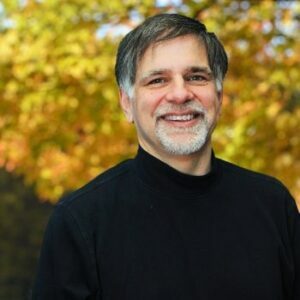 Pane, professor of music at UMF, will provide an introductory lecture at 7 p.m. Saturday, April 13, at Nordica Auditorium. The New Commons Film Series, “In Search of Beethoven,” will be screened at 7 p.m. Thursday, April 18, at the UMF Emery Community Arts Center. Enter the world and creative processes of Ludwig van Beethoven through the comprehensive 2009 documentary directed by Phil Grabsky. The film follows Beethoven through his notable compositions (and features dozens of performances by top musicians) while exploring the historical and social context in which they were created. UMF’s New Commons events are free and open to the public. To learn more about the New Commons Project, or to submit a nomination for the next round of selections to be announced in 2019, visit https://newcommonsproject.org/.